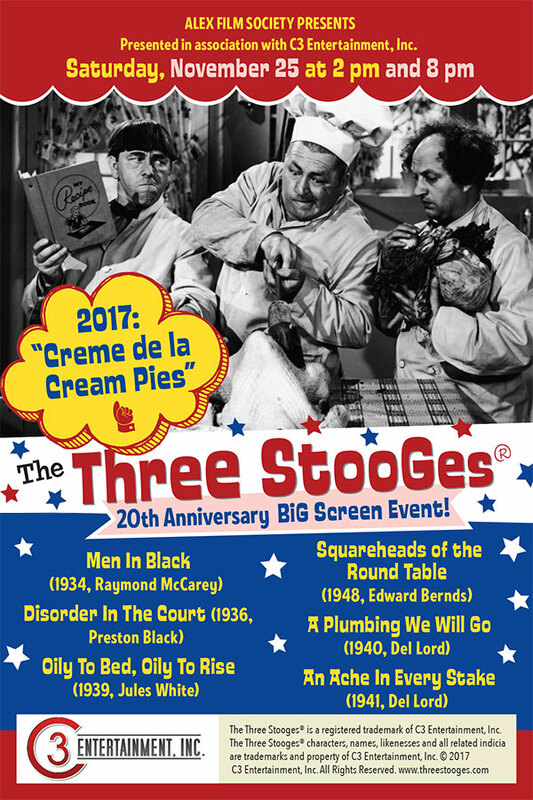 Celebrating 20 years of Stooges madness, the AFS Blue Ribbon Selection Committee has chosen the best of the best shorts for this year’s Big Screen Event. Presented in association with C3 Entertainment, Inc. 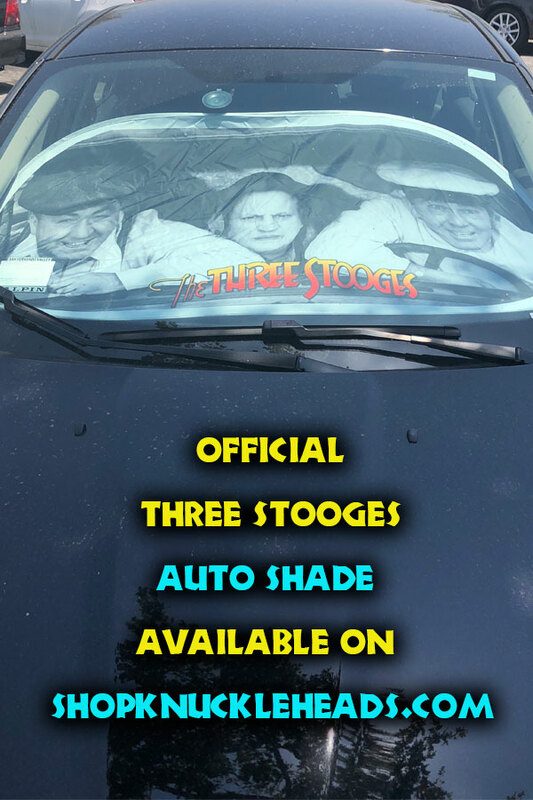 The Three Stooges is a registered trademark of C3 Entertainment, Inc. Stooges Images used by permission. © 2015 C3 Entertainment, Inc. All Rights Reserved. 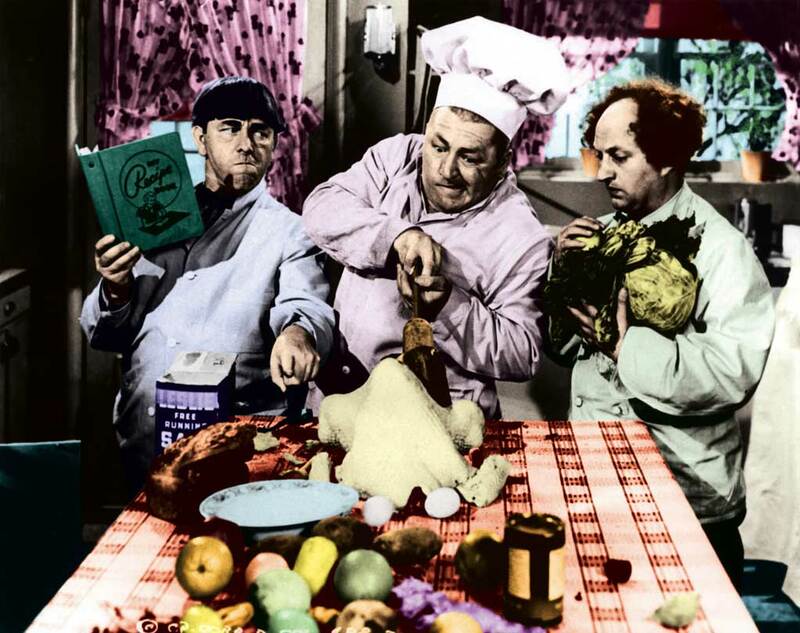 Stooges family members, friends & co-stars in attendance! 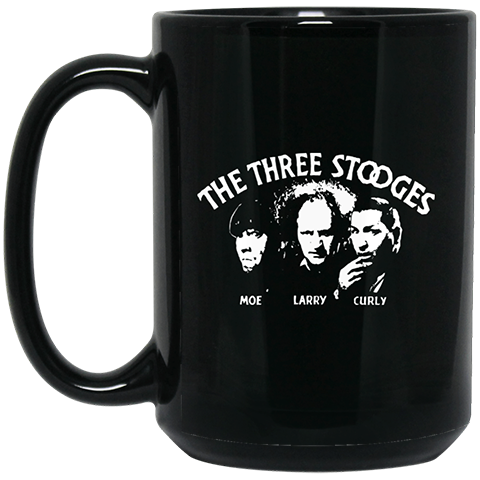 Raffle baskets filled with Stooge goodies from C3 Entertainment. All raffle proceeds support the Alex Film Society, a non-profit arts organization! AFS MEMBER – $11 [$7.50 Ticket + $3.50 Fees] – Purchase in person at Box Office Window/Americana At Brand Concierge Desk/Glendale Community College Auditorium Box Office only; must show valid current AFS membership at time of purchase. CHILD (12 & under) – $12 [$8.50 Ticket + $3.50 Fees] – Purchase via Box Office Window/Americana At Brand Concierge Desk/Glendale Community College Auditorium Box Office/Phone/Internet. Children age 2 & under who sit on a lap do not need a ticket; all persons 3 & older must have a ticket. 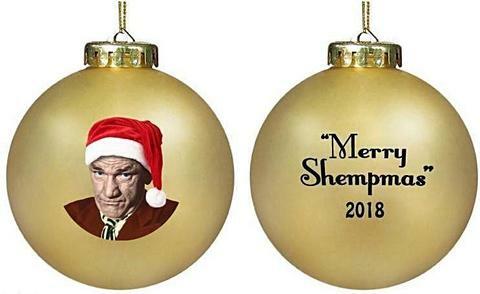 Available via Box Office Window/Americana At Brand Concierge Desk/Glendale Community College Auditorium Box Office/Phone/Internet. Walk-Up/Phone: Show GAM membership card or give membership PIN or e-mail associated with GA Member account. Online: Sign in using e-mail associated with GA Member account. GROUP (15+) – $12 [$8.50 Ticket + $3.50 Fees] – Purchase via Box Office Window/Americana At Brand Concierge Desk/Glendale Community College Auditorium Box Office/Internet & via Phone through Alex Theatre Group Sales at 818.243.7700 x216. SENIOR (age 65+) – $12 [$8.50 Ticket + $3.50 Fees] – Purchase via Box Office Window/Americana At Brand Concierge Desk/Glendale Community College Auditorium Box Office/Internet/Phone. STUDENT – $12 [$8.50 Ticket + $3.50 Fees] – Purchase via Box Office Window/Americana At Brand Concierge Desk/Glendale Community College Auditorium Box Office/Internet/Phone. All seating areas other than the ADA Accessible seating area [Orchestra Row X] require a minimum of 8 stairs to access; there is NO ELEVATOR. If you require ADA accessible seating, tell Ticket Agent at beginning of transaction; if purchasing online, use the CHOOSE SEATS option and select seat(s) from the ADA Accessible section [Orchestra Row X]. All ADA Accessible seating is Reserved Seating with specific Row and Seat Number designations on the tickets.